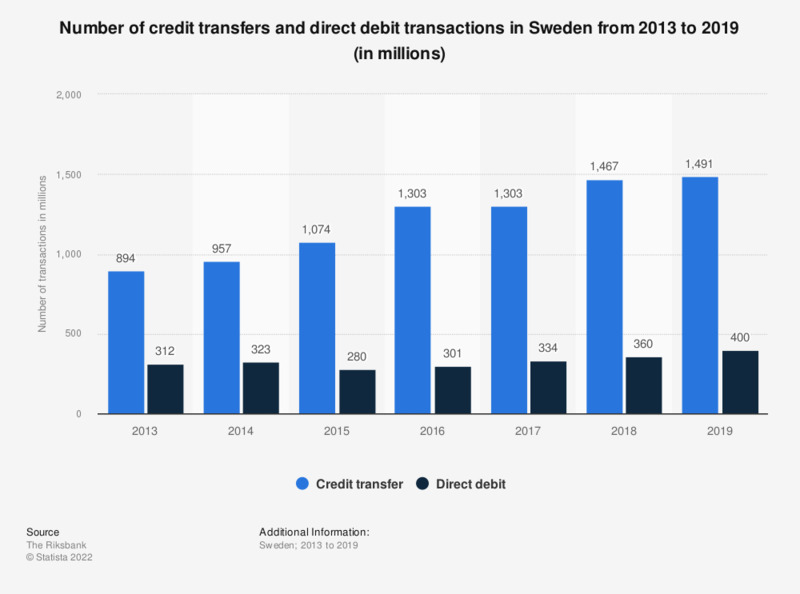 This statistic shows the total number of transactions in Sweden from 2009 to 2016, by type. The number of both credit and direct debit transactions has increased. In 2016, 1.2 billion credit transfers were processed. Statistics on "Swedish financial sector"